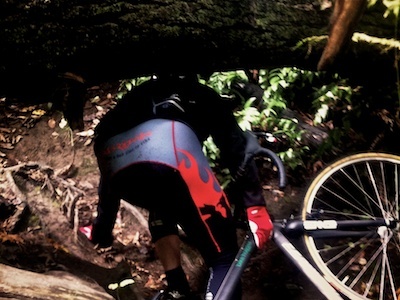 Before Cross was dirt crits with barriers, in the Pacific Northwest, we raced and trained in the jungle like this. At a undisclosed location near Hugga HQ, I found a trail like it was, back then. Did that one for my culture. Felt empty, two mechanicals, in the pits. Better show next time. Thanks for the cheers.